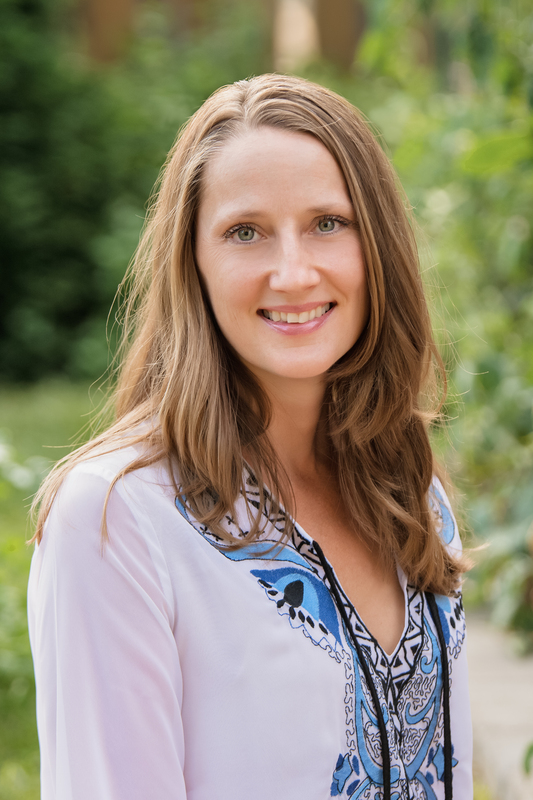 I am an occupational therapist, integrative medicine practitioner, mystic and spiritual intuitive specializing in holistic/integrative health, wellness, and prevention. It is my joy, passion, and life purpose to assist you with natural and holistic healing while providing you with Intuitive guidance for answers and direction within. I will assist you to remove barriers to help you to stay well, cope with life changes, recover from an illness, and have a more peaceful and joyful life. Together we will help you with self-discovery, healing, and transformation. I have a deep understanding of the Mind-Body-Spirit connection. I have provided care as a “conventional” and “alternative” health care provider in hospitals, nursing homes, clinics, and private practice. It is my clinical observation, having worked with thousands of people, that there is often a strong underlying psycho-emotional, energetic, and spiritual component – a.ka. a person’s consciousness that needs addressing with all illness and staying well. I have a B.A. in occupational therapy & psychology, and am trained in medical qigong energy healing, meditation, relaxation, intuitive development and healing, guided imagery, massage therapy, acupressure, reflexology, myfofascial release, craniosacral therapy, emotional freedom technique (EFT), emotional clearing/interactive mindfulness, and aromatherapy. I am currently in private practice in St. Paul, MN. I offer one to one healing sessions, classes, tutoring, and consulting. I am available to assist you on your journey by phone, Skype or in person. Please contact me with any questions or to schedule an appointment at 651-292-9938 (non-text number) or emmy@emmyvadnais.com. Emmy Vadnais Holistic Healing provides Holistic/Integrative Health, Wellness, and Prevention services and education that support people, health care practitioners, organizations, and communities to be inspired and live their best lives with meaning and purpose being more fulfilled, alive, joyful, and peaceful in Mind, Body, Spirit. Compassionately, scientifically researched Holistic/Integrative Health, Wellness, and Prevention approaches are utilized so individuals can relax, find their center, listen to their intuition and divine answers within, feel more connected, and transform stress, pain, and anxiety to peace, joy, and love. We will all be able to maintain health, recover from illness, and prevent illness. Advocating for cultural acceptance of Holistic/Integrative Health, Wellness, and Prevention is accomplished through sharing education, writing, research, and successful outcomes. I am an advocate of healing health care so it may offer the best possible approaches for the best outcome. I believe there are many resources and that natural, holistic, and preventative healing is a smart place to begin. Having seen the benefits and limitations of straight conventional and straight complementary medicines, I believe that the two may be necessary at different times. I began my journey providing personal care as a nursing assistant while in high school. I enjoyed working with people and helping them feel better, and I soon discovered that I wanted to empower people by helping them help themselves. In 1996 I received a B.A. from the College of St. Catherine with a double major in Occupational Therapy and Psychology. At the time, Occupational Therapy was the most holistic form of health care I knew because it provides therapy for people who have limitations in all areas of their lives: Activities of Daily Living, Work, and Play/Leisure, and OTs address the Mind, Body & Spirit. After practicing for a few years as an Occupational therapist, I became aware that in order for me to work with people they needed to by limited in their independence. I wanted to discover if there might be a way to work with people to prevent them from becoming so sick or if there were better, natural ways to help them cope with their suffering. While exploring various continuing education options, I heard about something called Energy Healing which works with a person’s energy to improve their health. As a realist I was skeptical but intrigued. So, In 1998 I began a two year program studying Medical QiGong. I learned how to palpate and affect the energy along the same meridians in acupuncture by using my hands and intent with focused attention and meditation. I received much validation and I realized there is more going on than we can see with our eyes. This was the foundation for me developing my Intuitive Healing abilities. To develop this further I trained with Intuitive, Psychic/Mediums. During the same time I was managing a natural health center, adding to my awareness of the benefits of nutrition, herbs and supplements, chiropractic, acupuncture, exercise, meditation, massage therapy and other forms of bodywork. I began to witness many lives, including my own, that had been adversely affected by stress. (According to Healthy People, a report from the US Department of Health and Human Services has estimated that 70 – 80% of all visits to the doctor are for stress-related or stress-induced illnesses, and stress contributes to 50% of all illnesses in the United States.) One of the most relaxing inducing experiences that I knew of was massage therapy. This motivated me to begin my massage and bodywork training at Sister Rosalind’s School of Professional Massage. During our program we were required to study reflexology. I liked reflexology because of the way it felt on the feet and thought it would be great for people who would not be comfortable removing their clothes for massage. Also, it seemed to relax, lift fatigue and energize me and other people in a way I had never experienced before. After completing my bodywork training and receiving my National Certification in Therapeutic Massage and Bodywork and American Board Certification in Reflexology I opened up my own business. At first I was too shy to offer the energy healing as I was concerned people would want me to try to cure them or levitate them (of course I can’t), so I only shared that with close friends and family. But soon more people became interested in learning about it and experiencing it so I offered that, as well. I maintained my private practice and worked part-time as an occupational therapist incorporating bodywork into therapy sessions. I found this helpful in people’s ability to cope and heal. I also completed several intuitive development, guided imagery and meditation trainings that further helped me support people with their healing journey. I was asked to teach and accepted a position as a Reflexology instructor at Sr. Rosalind’s School of Professional and Bodywork. In 2003, I became an Integrative Medicine Practitioner at Abbott Northwestern Hospital in Minneapolis, MN. I determined the best Integrative Medicine interventions and provided my services to patients on the Orthopedics-Spine, Medical-Surgical, Oncology, Cardiovascular, Ante and Post Partum, Neurology, Physical Medicine and Rehab – Sister Kenny Institute, Pre-Operative, Post-Operative, Intensive Care Units, and at the out-patient facility, The Penny George Institute for Health and Healing. While at the hospital I taught massage therapy, reflexology, relaxation, meditation, and energy healing to students, patients, caregivers, and health care professionals. Patients and staff quickly embraced these services noting the benefits of stress and pain reduction. Data was collected with each patient visit and a research study followed showing the statistical significance of these services in helping patients have less pain, be more relaxed, and recover more quickly, with less medication. I returned to private practice in 2005 offering the best of these gifts I have learned with my experiences. I am available for individual therapy sessions, consulting, and classes & tutoring. I offer Holistic/Integrative Health continuing education course to health care professionals that can build their holistic skills for working with clients and for their own self-care. I began teaching Intuitive Development classes in 2006. Since then I have created additional Holistic Healing classes. The courses include The Power of the Mind in Healing, Energy Healing: Auras, Chakras, and Meridians, Guided Imagery, Emotion and Healing, Spirituality and Healing – and I will be creating more. These courses make up the summation of my 2 year Holistic Healing Certificate Program. I also teach Meditation, Aromatherapy, Massage Therapy, and Reflexology classes. I also provide mentoring, coaching, and consulting to health care practitioners who need assistance beginning their holistic private practice or integrating holistic methods into their current practice, whether employed or self-employed. I created the Holistic OT community and HolisticOT.org website for OTs interested in or practicing occupational therapy with holistic/integrative health to learn, grow, and connect. This site also has a Directory of Practitioners for those seeking their unique blend of services. There is a thriving community of OTs practicing Complementary and Integrative Health. From 2013 – 2017, I co-wrote for the “Light on Holistic OT” column in ADVANCE Magazine for Occupational Therapy Practitioners (articles can be found here) highlighting how many Complementary and Integrative Health approaches have sufficient research to support use in mainstream health care. I support Holistic OTs and all Health Care Practitioners to integrate these approaches into their practices. In 2017, I created the “OT with Complementary Health Approaches and Integrative Health (CHAIH)” class for the American Occupational Therapy Association. I champion and support all health care professionals to have knowledge of holistic and integrative approaches through education, my writing, individual sessions, and providing Holistic Health Consulting. In 2019, I am currently writing an intuitive development book. I can also teach you how to develop, listen to, and trust your intuition. Please contact me with any questions, to schedule an appointment, or sign up for a class.